At 4,235 acres, Mission Bay is the world’s largest human-made aquatic park. The saltwater bay is connected to the Pacific Ocean by a channel that allows boats and yachts access to the bay’s many protected marinas. This is the biggest San Diego water sports hub where you can experience everything from kayaking to hot tub cruising to jet skiing. 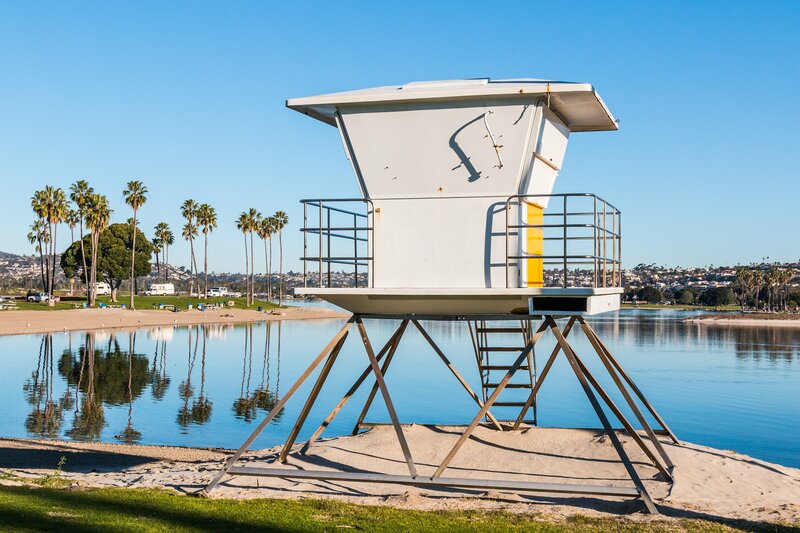 The is list of 40 of the best things to do in Mission Bay San Diego includes land-based activities as well. SeaWorld is one of San Diego’s most popular attractions, and it’s located on the shores of Mission Bay. 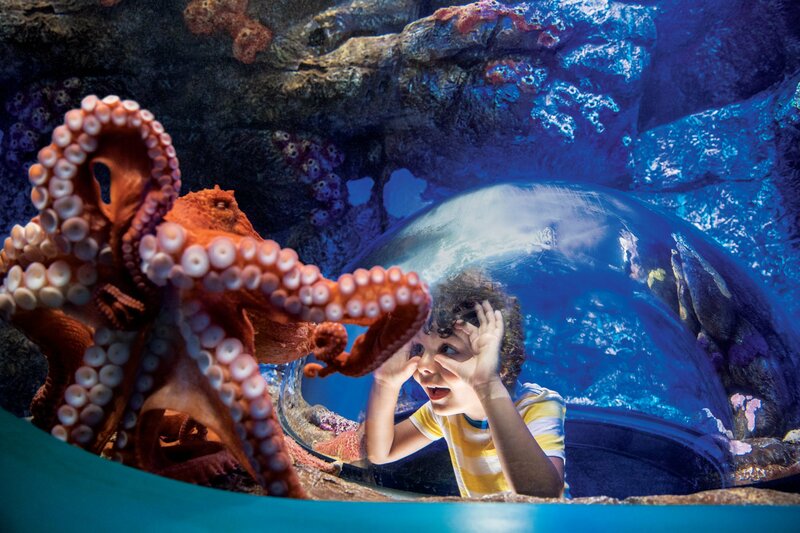 Known for its entertaining marine animal shows, the park also features marine animal exhibits, interactive and educational programs, thrill rides, amusement rides, and plenty of opportunities to get wet. 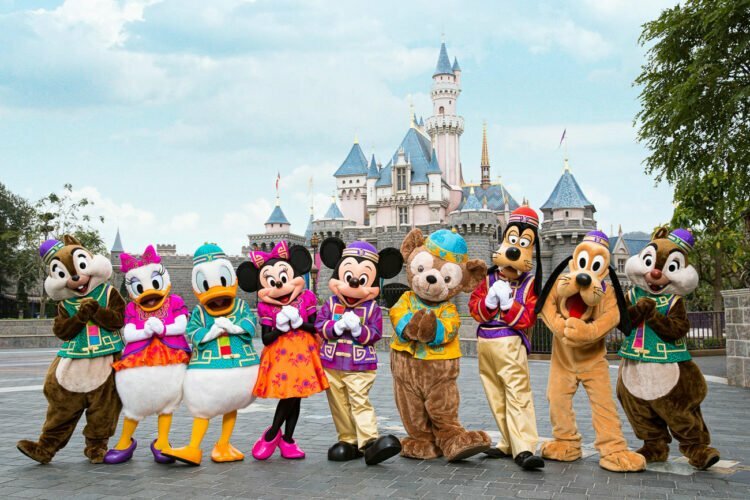 You could potentially visit the park in a half-day, but it’s best to plan for the whole day if you want to see multiple shows and attractions. Getting discounted tickets at SeaWorld San Diego is possible. Mission Bay Golf Course at the north end of Mission Bay is the only golf course in San Diego that offers night lighting. It’s an 18-hole executive course and practice center where Tiger Woods once won a Junior World title. Perched on 46 acres, the course has 14 par-three holes and four par-four holes. The practice center includes putting greens, chipping greens, sand traps, and a driving range. Course tee times are from 6:45 a.m. to 8 p.m. and course lights go out at 9:45 p.m.
Sun Cruiser Duffy electric boats are a great way to explore Mission Bay without the noise of a boat motor, or the need for a boating license. Their fleet of new boats (none older than 2014) are ready to be rented if you want to captain your boat. Two- to three-hour rentals are the norm, and you can bring food for the built-in cooler and your own music for the Bluetooth stereo. Boats have canopies and seat a dozen adults. Duffy of San Diego also offers charters with USCG Licensed Captains. Mission Bay has a large and dedicated rowing community. If you’re new to rowing, you can take lessons and classes at Mission Bay Aquatic Center. 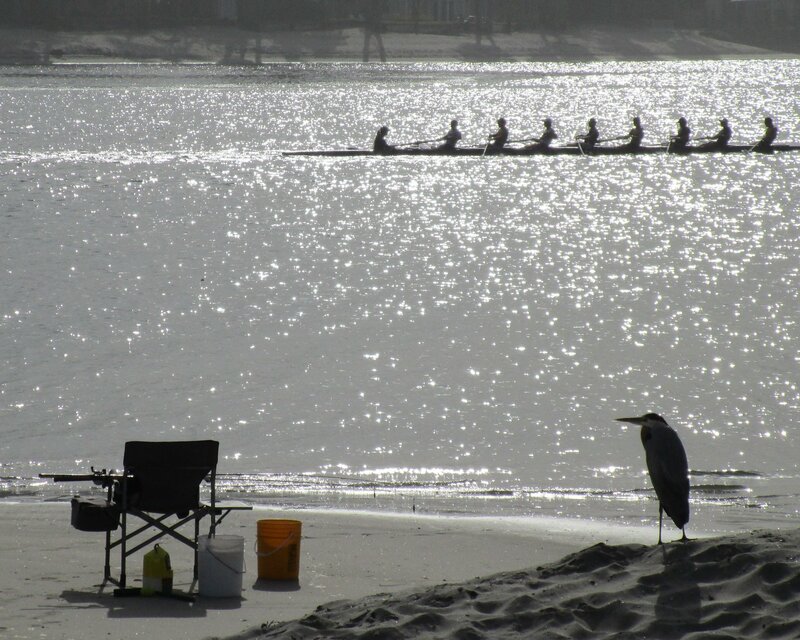 Experienced rowers who just want to get out on the water and enjoy the tranquillity will find early mornings on Mission Bay ideal. Rowing enthusiasts and spectators will want to attend San Diego Crew Classic in the spring (usually April) where competitors from across the country race over a weekend. There are only two leash-free beaches in San Diego (a third is in Del Mar), and one of them is at Mission Bay. If you’d like to let your dog experience the freedom of running and playing beachside, head to Fiesta Island. Your dog can enjoy time romping off-leash in designated areas. One caveat — it is illegal in San Diego not to pick up after your dog in public spaces, so leave only paw prints behind. Right along Bayside Walk on the northern edge of Sail Bay, there’s a perfect spot for a pickup match of sand volleyball. The volleyball court is set up directly on the beach past Graham Street. Volleyball enthusiasts regularly flock to the court after work hours and play until sunset. The venue is informal, so you can come to join the fun when the nine-to-fivers are playing, or gather your own group to play. There is street parking on Graham Street in Crown Point. De Anza Cove Park is in the northeast corner of Mission Bay across the street from Mission Bay Golf Course. This expansive park wraps around De Anza Cove making the lifeguard protected beach a great option for families with small children. A walking/biking trail cuts through the park that connects it to Mission Bay Park and Tecolote Shores. A vast grassy area is popular for kite flying and picnicking. There are fire pits, volleyball and basketball courts, a children’s playground, a boat launch, and public showers and restrooms. Parking is free. In its 45 years of operation, Mission Bay Aquatic Center has helped tens of thousands of people learn surfing, windsurfing, sailing, water skiing, wake surfing, wakeboarding, stand up paddleboarding, kayaking, and rowing. It’s one of the largest instructional water sports facilities in the world and is run by San Diego State University (SDSU) in cooperation with the University of California San Diego (UCSD). The center is also sustainable and committed to protecting the marine environment. Tidal is the signature restaurant of Paradise Point Resort & Spa. Set in what was once a private, midcentury beach house built in the 1960s by Hollywood producer, Jack Skirball, this uncomplicated restaurant overlooks Mission Bay. 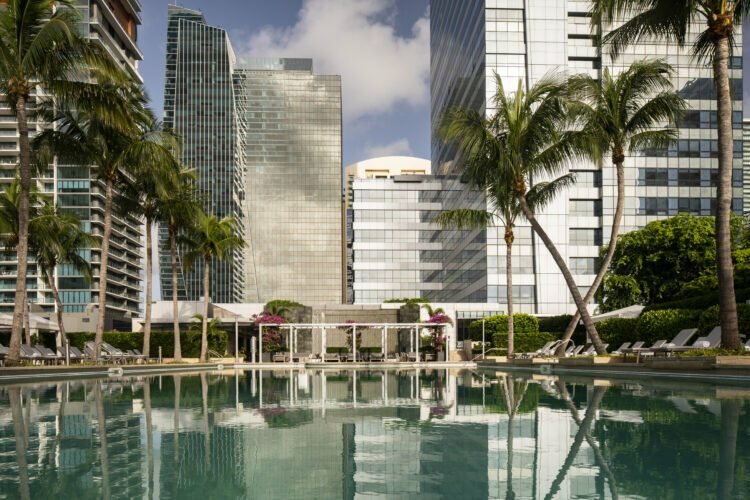 Expect an innovative brunch menu with options like Hibiscus Beet Salad, Smoked Salmon Benedict, and Malted Tahitian Vanilla Waffle served bayside with 180-degree views. Ski Beach Park is located directly across Fisherman’s Channel from Crown Point on Vacation Isle in Mission Bay. It gets its name from being a popular spot for water skiers and jet-skiers. The park has a boat launch, an expansive grassy area, sandy beach, and a large parking lot. You’ll also find a kids’ playground, picnic tables, fire pits, a walking path, and public restrooms. Check out the model yacht pond on the other side of the island at Vacation Isle Park too. After a busy day of sightseeing San Diego’s major attractions, what could be better than cruising Mission Bay on a hot tub boat? Rhodes on Water provides these luxurious hot tub excursions on Mission Bay. You can rent the boat and drive it yourself, or book a tour with a Captain. Every year, California gray whales migrate from the Bering Sea to Mexico’s Baja Peninsula, passing right by San Diego. If you’re here anytime January through March, you’ll want to take a whale-watching tour. Seaforth Sportfishing, located in Mission Bay’s Quivira Basin, is a good option. They’ve been hosting whale-watching tours for 35 years and know just the right places to go. 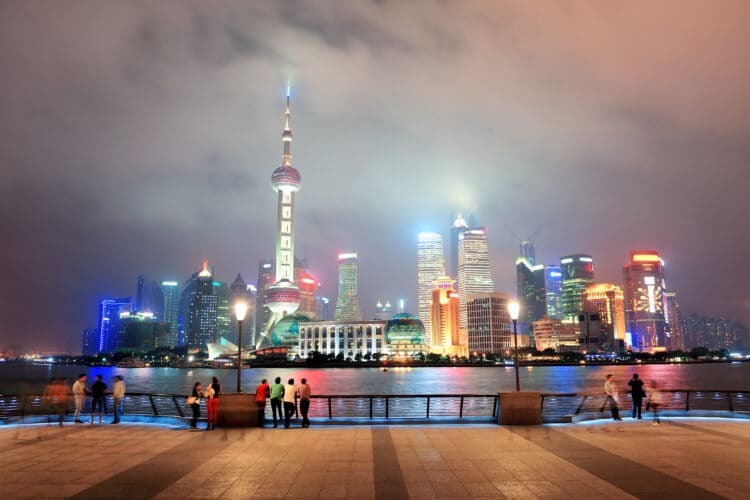 Your Captain or knowledgeable crew narrate tours. Or, book a private whale watching tour with Tailwalker Sportfishing. Waterhorse Charters, located along Quivira Basin, offers dives to the best dive spots all around San Diego and La Jolla, but if you’ve never dived a kelp forest before, you should make it a priority. 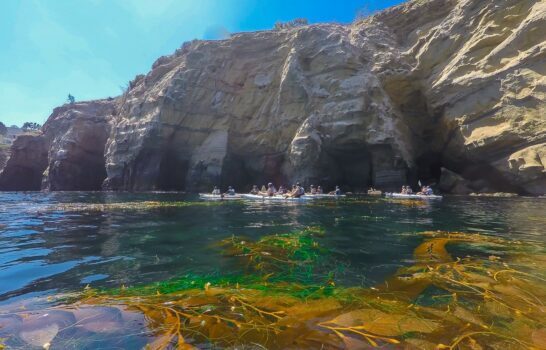 A kelp forest dive off Point Loma’s six-mile coastline includes overhangs, big boulders, scattered walls, and lush kelp forests teeming with marine life. Kelp forest dive spots may include Three Fingers, New Hope Rock, Lazy Daze, NRAD, Dyno Head, and North/South Pipe. Tecolote Shores Park is a preferred park and beach by families with small children. The shallow water with a gradual entrance and narrow lifeguard protected beach make it a favorite. The park also has expansive grassy areas to play and two large sandy areas with children’s playground equipment. A paved path for biking, walking and running cuts through the park. Amenities also include picnic tables, barbecue grills, fire pits, and public showers and restrooms. 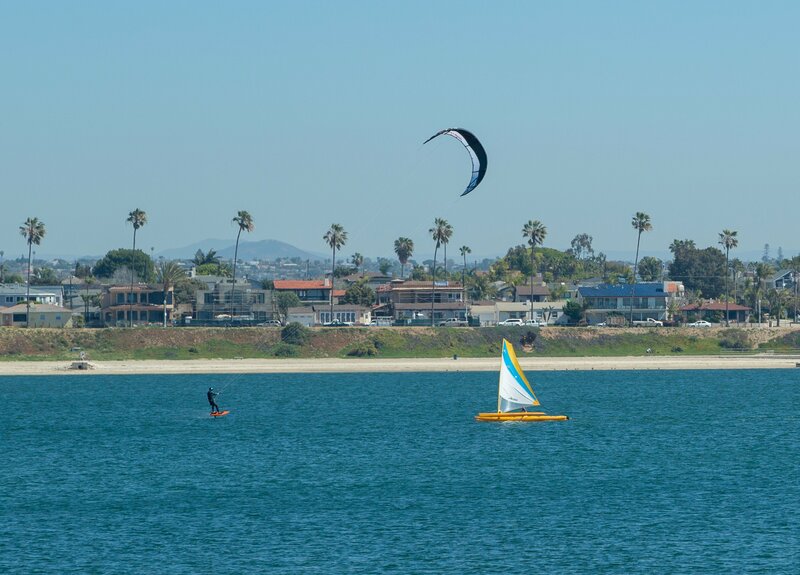 A favorite on Mission Bay’s Quivira Basin is San Diego Parasail Adventures. They’ve been taking San Diego visitors parasailing along the San Diego coastline since 1989. Their winch-direct parasailing from the vessel’s flight deck is the most widely accepted and safest method of parasailing. 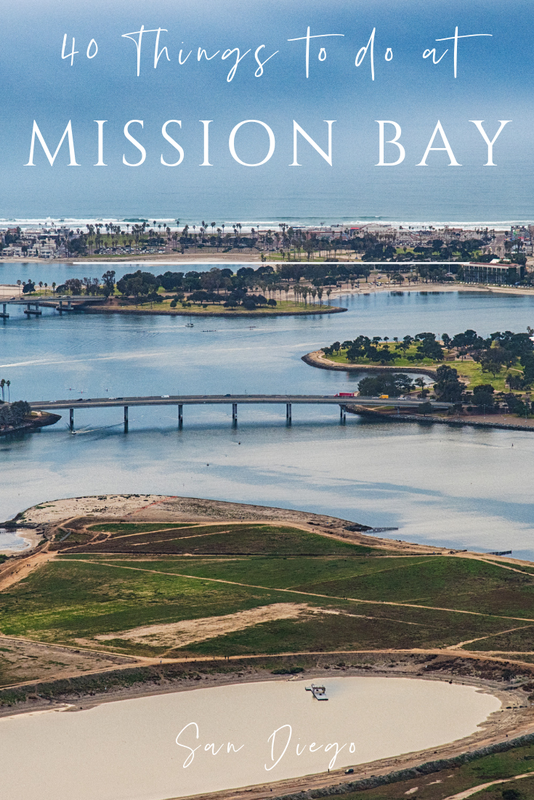 Soar above the coastline for a bird’s-eye view of Mission Bay, Mission Beach, and Pacific beach. If you want to get a good look at Mission Bay and scope out the amenities at each beach for yourself, there’s hardly a better way to do it than biking its perimeter. 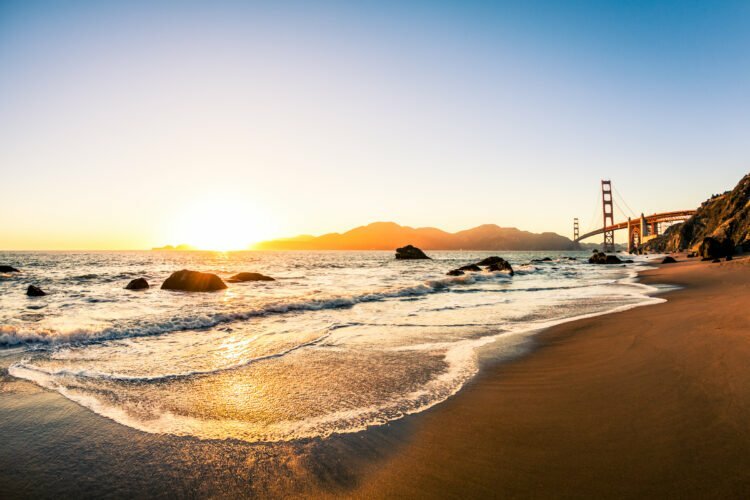 Situated just 150 feet from both Mission Bay to the east and the Pacific Ocean to the west, Radd Action Sports is a convenient place for you to grab a beach cruiser or tandem beach cruiser and hit Mission Bay’s Bayside Walk. Aqua Adventures hosts a monthly Full Moon Paddle tour of Mission Bay. You’ll paddle together on a 90-minute, after-dark tour led by an expert kayaker. 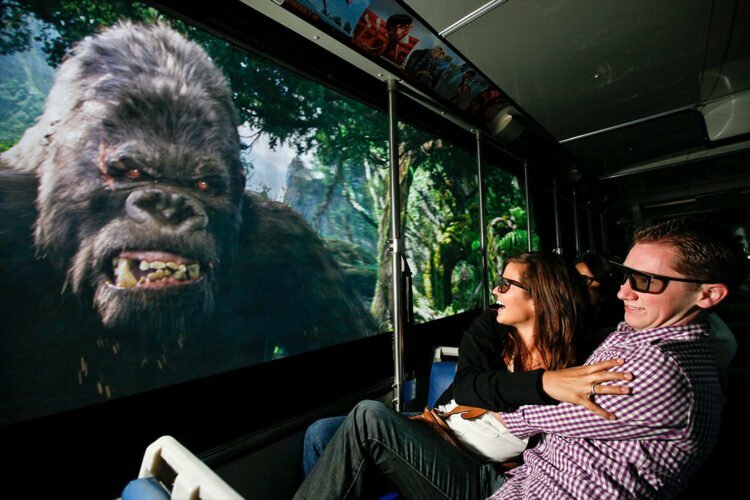 This is a magical up-close-and-personal view of the bay that often affords opportunities to see nocturnal wildlife. When conditions are right, paddlers will even see bioluminescent organisms in the water. All skill levels can participate. This isn’t an instructional tour, so you’ll need to know how to kayak. At Rocky’s Crown Pub, there are five items on the menu, a third-pound burger, a third-pound burger with cheese, a half-pound burger, a half-pound burger with cheese, and french fries. Yes, their burgers are that good. This neighborhood pub, located in Crown Point, has been a favorite for more than 40 years. Thrill-seekers will love this wild way of experiencing the bay. Choose from either a Jetpack or Jetboard and soar over Mission Bay like never before. Newbies will watch a training video and get instruction from Certified Flight Instructors before strapping in for a wild ride. HydroFlight packages range from 15 minutes to learn the fundamentals to 60-minutes of highflying fun. Rent a wet suit for $5 more, and capture your experience on video for $49 more. This experience often has a discount on Groupon. Fiesta Island is a multipurpose, dune-covered island. It’s a favorite for launching small watercraft, letting the dog romp off-leash, and attending a variety of events and tournaments. Probably the most notable event that takes place here is the World Championship Over-the-Line Tournament hosted each July by Old Mission Beach Athletic Club. If you’ve never experienced an OTL tourney, this SoCal tradition and San Diego original is a must-do this summer. Campland on the Bay is a tent and RV campground with an emphasis on recreation. This one-stop vacation headquarters is located along the shores of Fiesta Bay at the east end of Mission Bay near I-5. They have a game room, skatepark, basketball court, swimming pools, hot tubs, watercraft rentals, bike rentals, 124-slip marina, restaurant, ice cream shop, market, kids’ activities, and laundry facilities, plus they welcome pets. Whew, talk about an all-inclusive vacation. Bonita Cove is across the street from Belmont Park on the bay side of Mission Beach Peninsula. 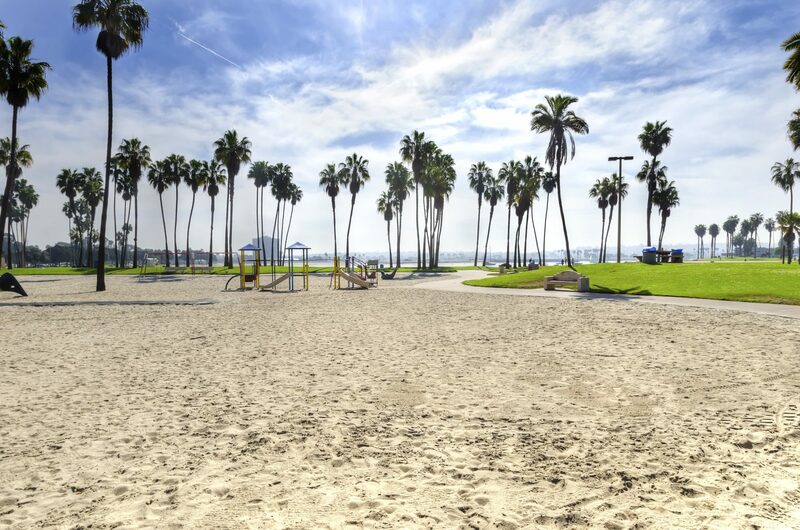 This Mission Bay park is idyllic with its expansive grass areas, swaying palm trees, and flat sandy beach that wraps around the cove. The calm waters make this a favorite swim spot for families with small children. 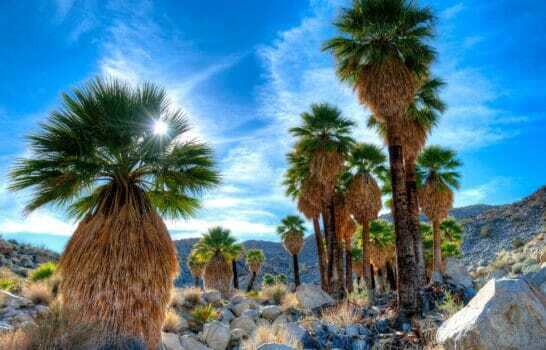 You’ll find a paved bike path, picnic tables, barbecues, a children’s play area, volleyball courts, and fire pits — everything you need for a leisurely SoCal day. Red Marlin Restaurant & Terrace is a chic restaurant with indoor and bayside dining. It’s located at Hyatt Regency Mission Bay Spa and Marina in Quivira Bay near Mission Bay Channel. Whether indoors or on the open-air terrace, the restaurant offers some of San Diego’s most enviable views. Expect fresh, local, sustainable seafood dishes artfully prepared. Turn the luxury up a notch with the restaurant’s ultrachic Red Marlin Chef’s Table. Get ready for a day at the bay when you stop by Dana Landing in South Cove. You can stock up the cooler from the deli, gas up the boat, rent rods, buy specialty tackle and bait, get your California fishing license and Mexican fishing permit, and take home a California T-shirt or souvenir from the store. You can even rent boats and nonmotorized watercraft, or a join fishing charter. Dana Landing is Mission Bay’s one-stop-shop for marine enthusiasts. Kendall-Frost Reserve is a 16-acre salt marsh in Fiesta Bay. It’s situated next to the city’s Northern Wildlife Preserve with its mud flats, salt marsh, and open waters. Both can be easily accessed from Crown Point Park. Two birds on the endangered species list — Belding’s savannah sparrow and the light-footed clapper rail — rely entirely on the marsh. Look for the light-footed clapper rail in cordgrass stands, and the Belding’s savannah sparrow in the dense pickleweed. Bring binoculars on self-guided tours. Grab your passport and head out to sea on a sportfishing charter to the Coronado Islands in Mexican waters. This fishing area is approximately 20 miles south of Mission Bay and offers anglers some of San Diego’s best fishing opportunities. Spring and summer bring yellowtail, barracuda, bonito, bass, and Bluefin tuna. The nine-hour fishing trip, hosted by Impulse Sportfishing in Mission Bay, includes lunch. Coronado Islands can be paired with offshore fishing or Baja coastal fishing on longer trips. Whether you already know how to stand up paddle, or not, Mission Bay offers ideal paddling conditions for all experience levels. You can learn SUP from certified instructors at Mission Bay Stand Up Paddle with private, semiprivate, or group lessons. Sessions are one to 1.5 hours and teach board stance, paddling techniques, “bailing,” and turning. You’ll also learn about launching points, paddling calmly and aggressively, and reading riptides and currents. They offer SUP rentals and SUP yoga classes to experienced paddlers. You can also rent SUP boards at Surfari Surf with a Groupon. The catamaran sailing class is for three hours. You’ll learn to “fly a hull” and right a capsized catamaran, among other skills. The class uses fast, new Getaway catamarans by Hobie Cat. If you’re an avid water skier and would like to get out on Mission Bay for a few inexpensive turns, skip the rentals and tours and go with Convair Waterski Club. The club gathers at the south end of Crown Point Beach on Sunday mornings from 8 a.m. to 11 a.m. and Thursday evenings from 5 p.m. to dusk, April through September. You just show up on the beach and get on the list for a turn. 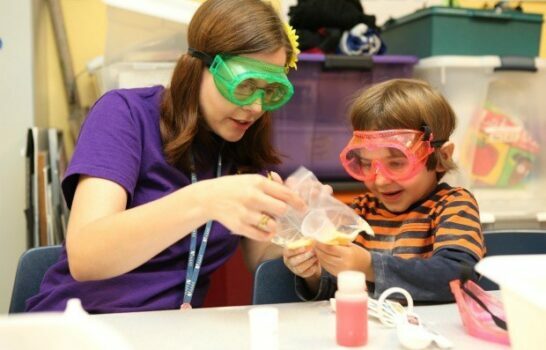 Suggested donation is $15 per turn for nonmembers. Nothing says camaraderie like a beach bonfire on a cool San Diego evening. At Mission Bay, there are many fire pits scattered across most of the Mission Bay beaches. Still, arrive early to claim one. Many are along the east side of the bay. Playa Pacifica at Leisure Lagoon, Ski Beach on Vacation Isle, and Fiesta Island are good choices. Also try Bahia Point, Bonita Cove, Crown Point, De Anza, South Shores, Sunset Point, Tecolote Shores, and Ventura Cove. Be sure to follow bonfire regulations. For even more convenience, Bonago provides fire pit rentals and will drop your kit off at three locations in Mission Beach and Pacific Beach for those on this side of the bay. Grab your kit for a slight discount here. Mission Bay RV Resort is conveniently accessed off I-5 at the Clairemont Drive exit. Located next to Mission Bay’s De Anza Cove and adjacent to De Anza Cove Park, it’s the perfect home base for your RV vacation. Everything you need from golfing to swimming to watching nightly SeaWorld fireworks is within walking distance. Located on the east end of the bay, it’s quieter and more peaceful over here. 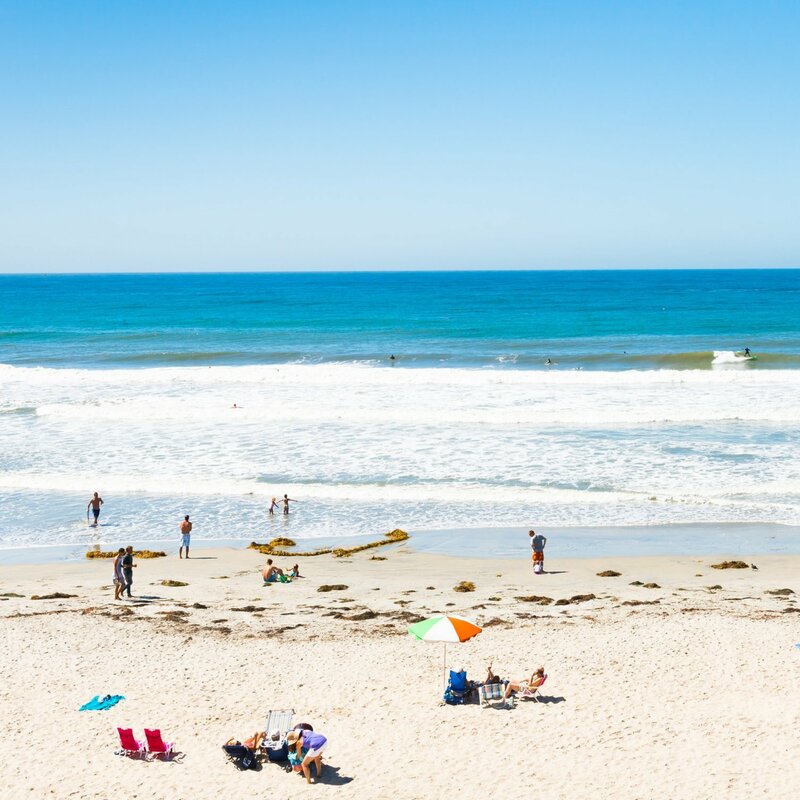 Its central location also makes it easy to get to most of San Diego’s attractions, including nearby SeaWorld San Diego and Mount Soledad. A fun way to experience Mission Bay is aboard the Bahia Belle. It’s a Mississippi-style, turn-of-the-century sternwheeler docked at Bahia Resort Hotel. The sternwheeler is three stories tall with an observation deck offering epic views of the bay. It cruises Mission Bay between Bahia Resort and Catamaran Resort Hotel and Spa in Sail Bay. You can choose Champagne brunch, lunch, dinner, sunset family cruises, or after dark adults-only cruises. Bahia Belle cruises are complimentary for Bahia and Catamaran resort guests (food/beverages are extra). One of the most fascinating experiences you’ll find at Mission Bay is “NightSUPS.” These are nighttime stand up paddleboard tours of the bay with high-intensity, waterproof, LED lights designed to illuminate a circumference of nearly 40 feet around your board. Glide through the still Mission Bay waters with a group of nightsuppers and experience the serenity of the bay in a whole new way. Maybe you’ll even catch the nightly SeaWorld San Diego fireworks from the water. Acqua California Bistro is a casual, all-day bistro at the Hilton San Diego Resort & Spa. 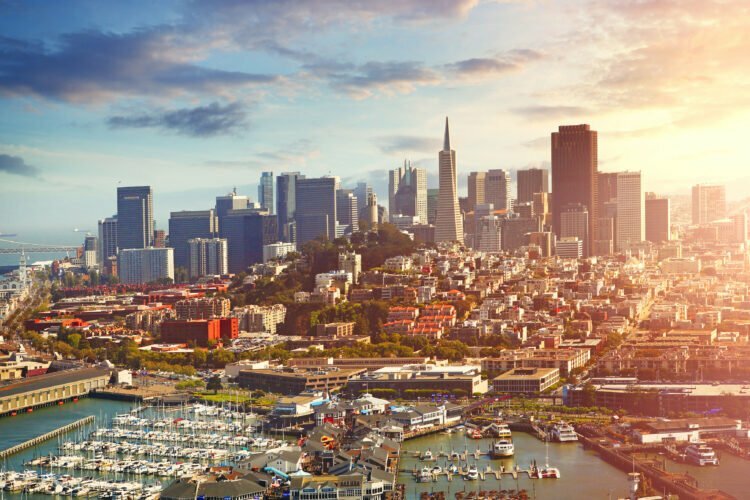 Nestled between Leisure Lagoon and Tecolote Shores on Mission Bay’s east end, this award-winning eatery serves innovative New American cuisine with a European twist. They have award-winning craft beers, and an extensive Wine Spectator awarded wine list of over 3,000 bottles. Strolling or biking the bayfront trail here offers an opportunity to share a meal, appetizer, or happy hour drinks on their terrace. 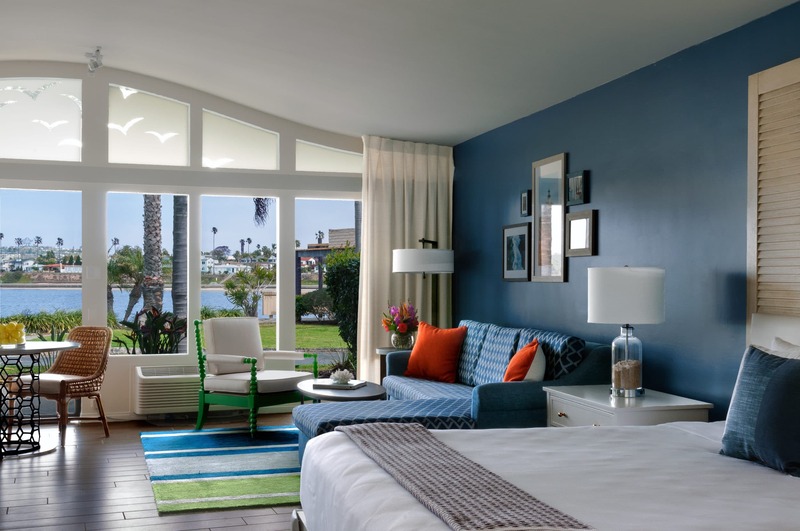 Six waterfront Mission Bay San Diego hotels dot the shorelines of Mission Bay, each with its own personality and amenities. Paradise Point Resort Resort and Spa is a luxury resort that caters to travelers with epicurean tastes located on Vacation Isle. 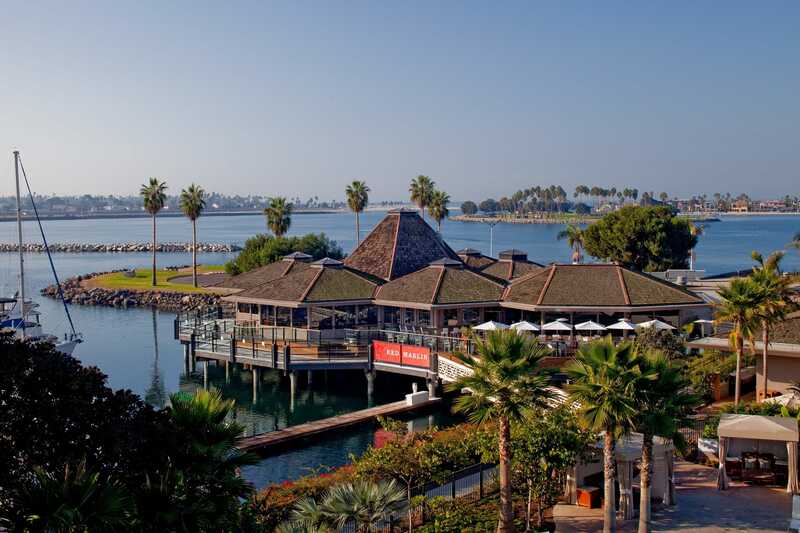 The Dana on Mission Bay is a casual resort dedicated to boating, sailing, and fishing enthusiasts and their families, near Mission Bay Channel. 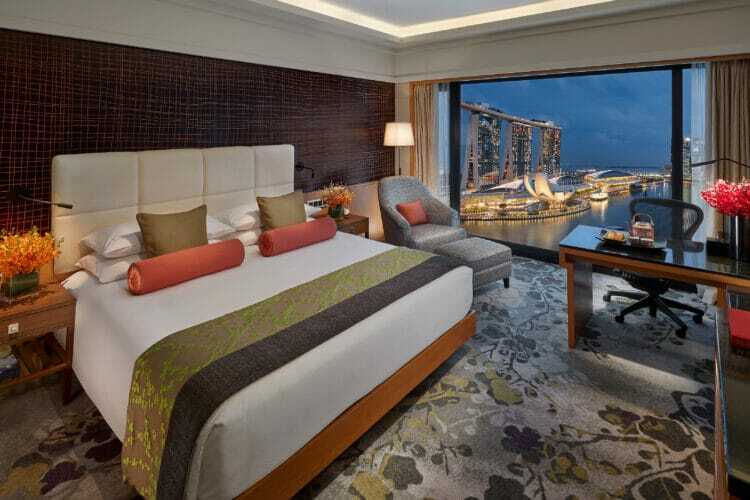 Catamaran Resort Hotel & Spa is a Hawaiian-themed, family-oriented resort on Sail Bay. 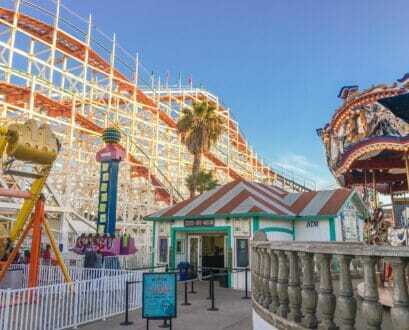 Bahia Resort Hotel is the original family resort in Mission Bay within walking distance of Belmont Park. Hilton San Diego Resort and Spa is the only resort on the east end of the bay. Hyatt Regency Mission Bay Spa & Marina at Quivira Basin offers luxury, ocean views, and a full-service marina. Fiesta Island is a Mission Bay Park with a continuous beach encircling it. There is a one-way loop road that accesses both the parking lot and the beach, and in many areas, you can drive right onto the beach. This makes it a popular place to launch kiteboards, Jet Skis, and other watercraft. You can also take kiteboarding lessons here. The island has fire pits for beach bonfires and a designated off-leash dog park. Popular activities here are swimming, windsurfing, jet skiing, kiteboarding, biking, horseback riding, and running. A sunset sail is a great way to end the day on Mission Bay. Mission Bay Sportcenter hosts a two-hour sunset sail around 27 meandering miles of Mission Bay shoreline. Your Captain navigates the bay aboard a 22-foot Capri sailboat as you kick back, relax, and enjoy warm breezes and the setting sun. First-time visitors to Mission Bay will appreciate getting an overview of the world’s largest human-made aquatic park. Anglers have choices when it comes to San Diego fishing charters. You can charter to the Coronado Islands and Baja, Mexico, offshore open waters, and nearshore fishing hot spots like the kelp beds of Point Loma and La Jolla. Kelp bed fishing excursions are a 30- to 45-minute ride from Mission Bay’s Blackjack Sport Fishing off South Cove. The nine-hour local trip yields anything from yellowtail to bonito depending on the time of year. If you’re already experienced in water sports, Mission Bay is a dream come true. Even if you aren’t experienced, there are plenty of places to learn your favorite watersport. 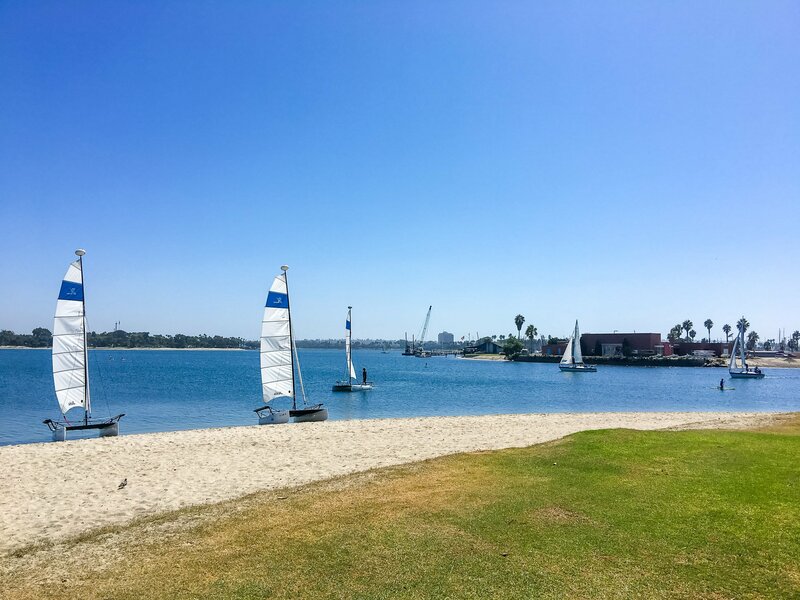 Mission Bay Sportcenter is located in the heart of Mission Bay and rents an array of watersport equipment to get you out on the bay and having fun. Rentals include ski boats, Jet Skis, wave runners, pontoon boats, Craig Cats, sailboats of all sizes, catamarans, standup paddleboards, kayaks, and pedal boats. Charters come with a friendly Captain and an attentive crew. Amenities include a full kitchen, outdoor lounge deck, and dining table, indoor lounge and dining table, and starboard lounge. Luxury catamarans can accommodate up to 12 guests. Book your charter at a discount. There are a few good things to know at Mission Bay Park. 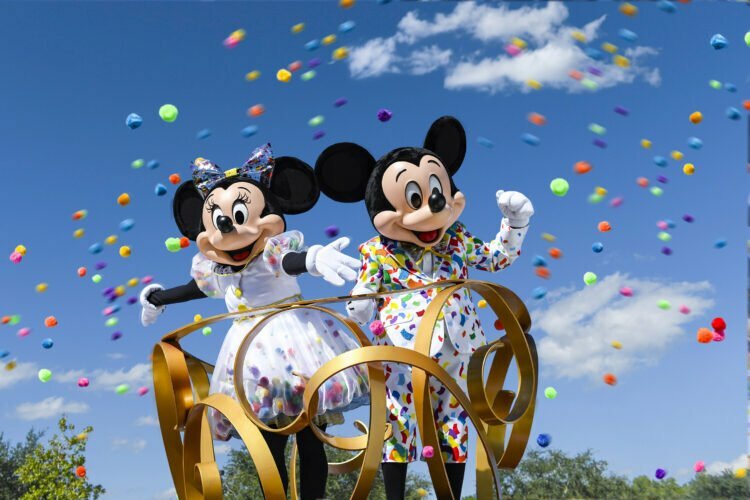 Bountiful free parking lots fill quickly, so plan to come early. Swimmers should stay inside buoy areas since the bay is a watersports haven. There are no lifeguards October to March, and they are limited during tourist season. Watch young swimmers, because drop-offs aren’t unusual. Most Mission Bay parks have showers and restroom facilities. Is Acupuncture For Labor Induction Right For You?